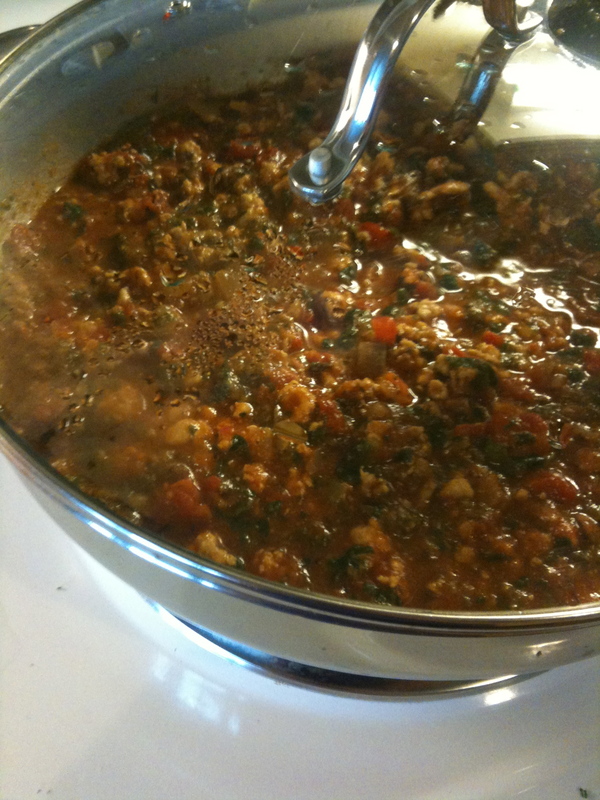 Here is my Red Sauce recipe. 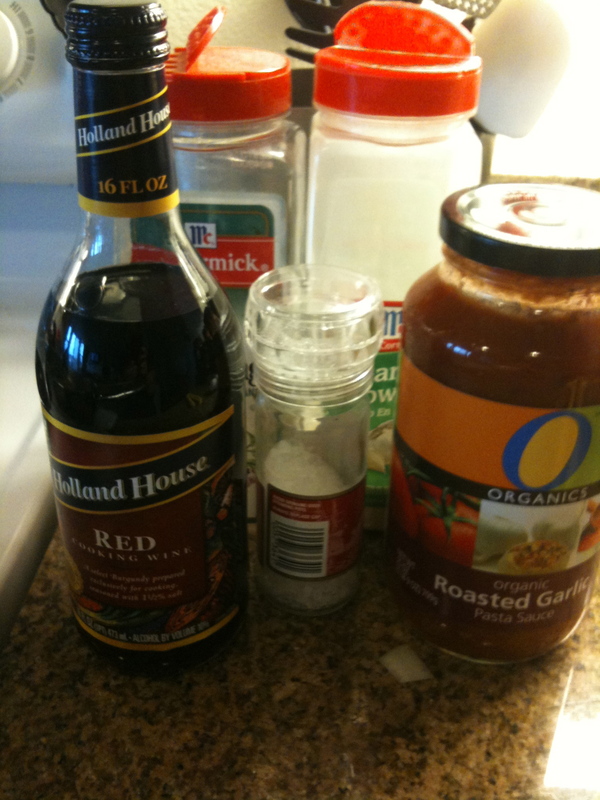 I use it for spaghetti, rigatoni, lasagna, and pretty much any red sauce pasta dishes. 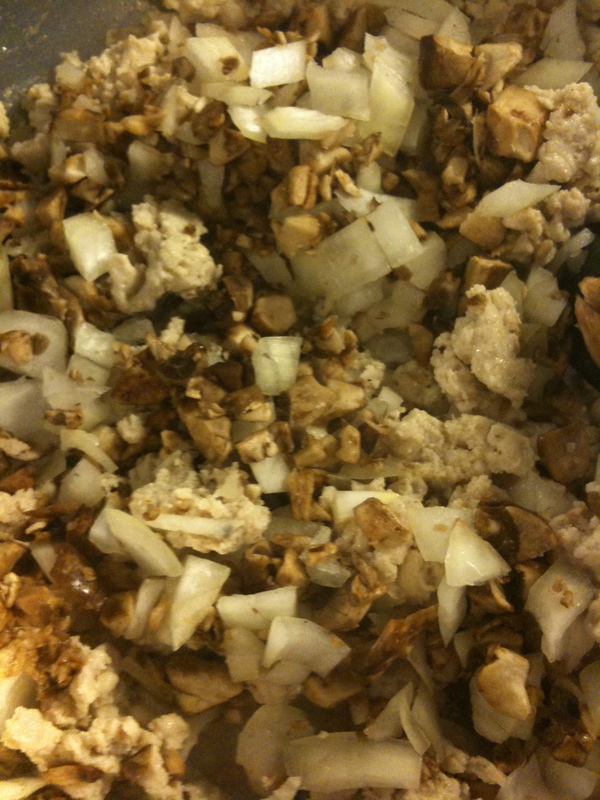 Add Mushrooms and Onions – cook until softened. 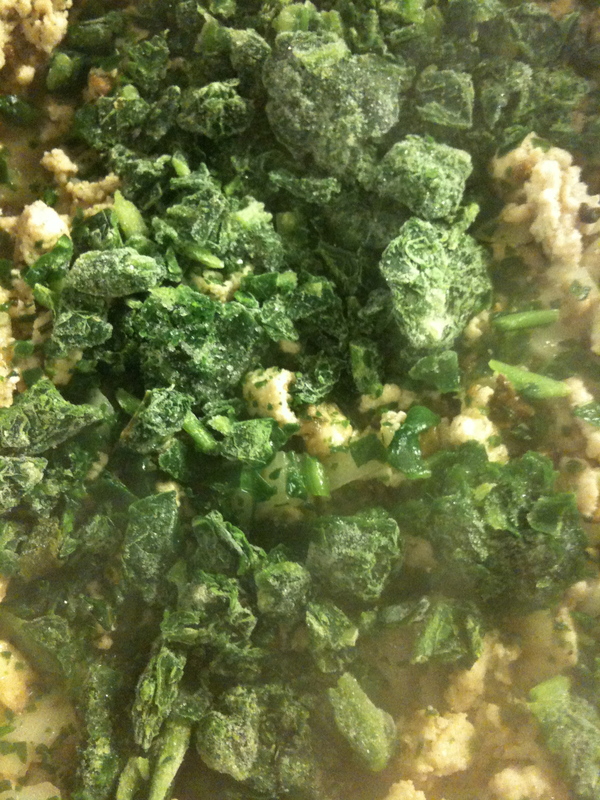 Add Spinach- I like to use frozen spinach but fresh spinach works just as well :-)Season some more with Garlic and Italian Seasoning. 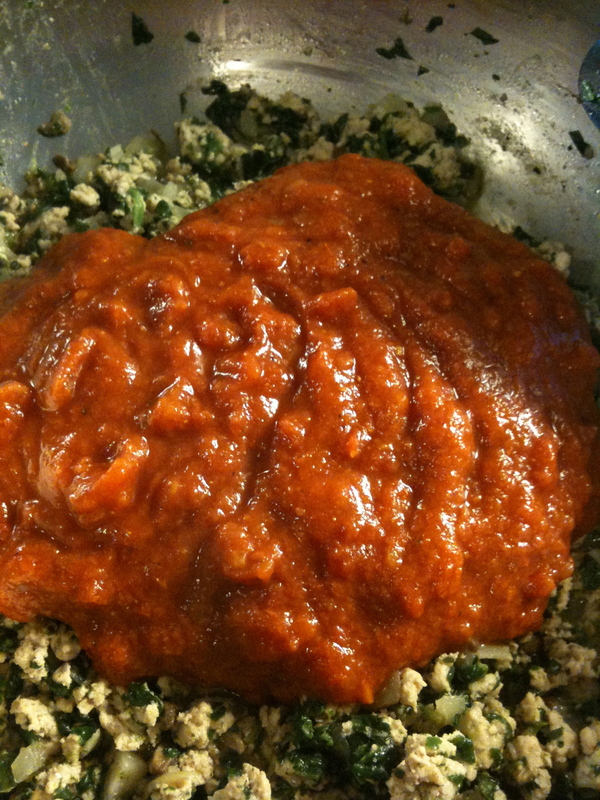 Once spinach is soft, add 1/4 c of Red Cooking Wine, some more garlic and italian seasoning. 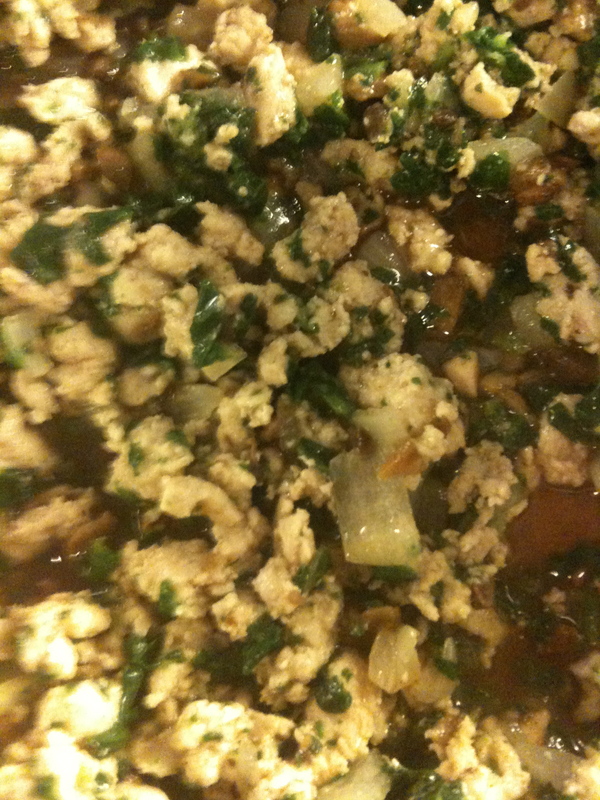 Lower heat and allow to simmer for 10 -15 min. 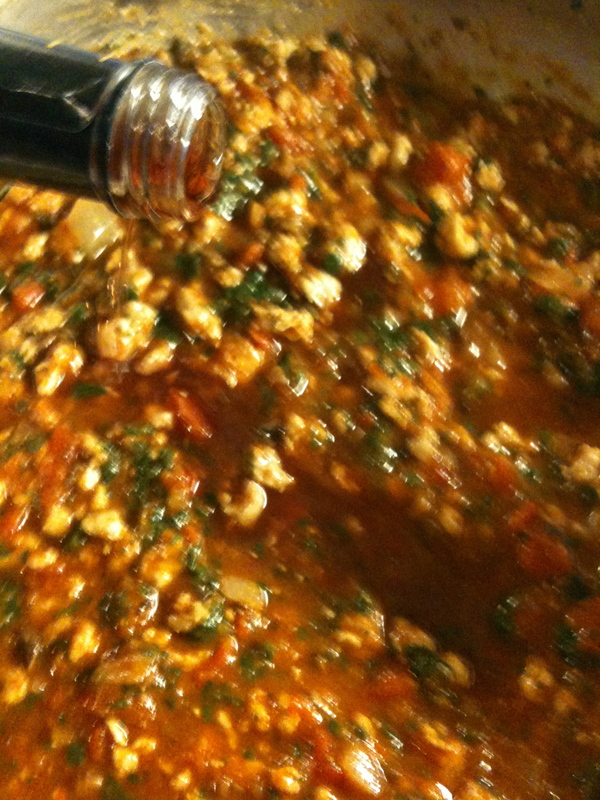 Add Red pasta sauce. I add water to the jar to make sure I get all the sauce out. 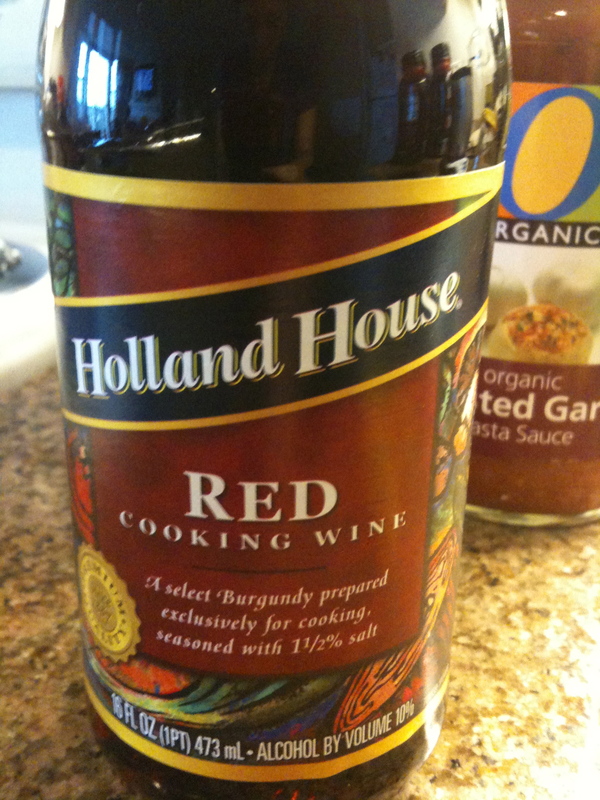 Add 1/2 c. of Red Cooking Wine. 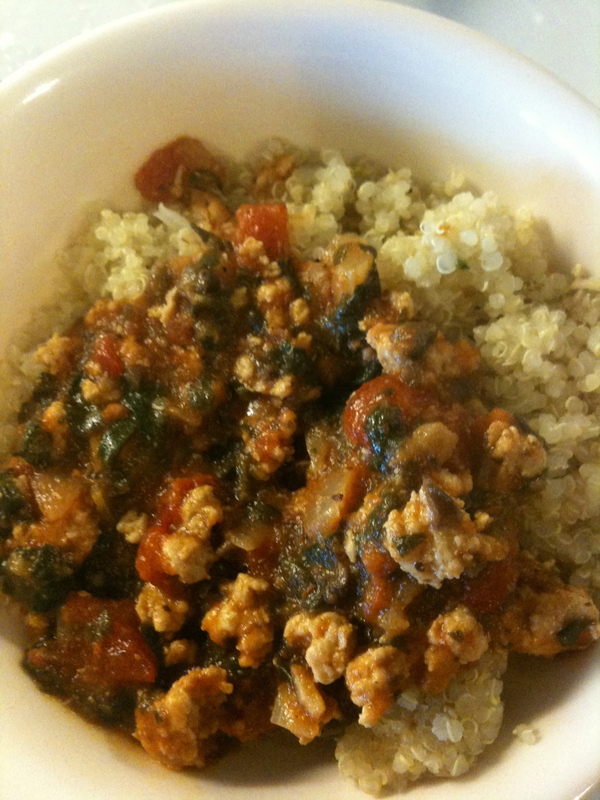 I love to pour it on top of quinoa :-) You can easily make this vegetarian by replacing the meat with your favorite veggies. The more you use the better! 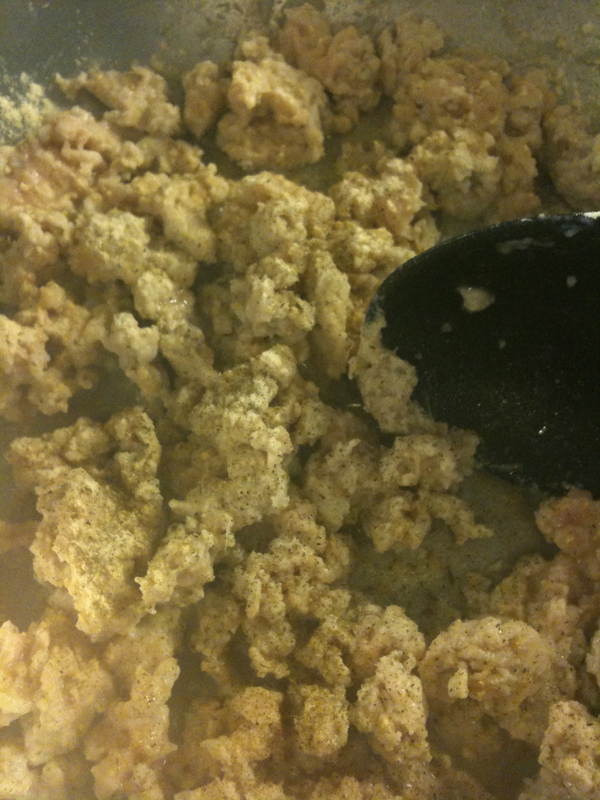 Or mix with your favorite whole wheat pasta. On top of Quinoa - My Favorite!